This recipe uses fresh ingredients and healthy olive oil. 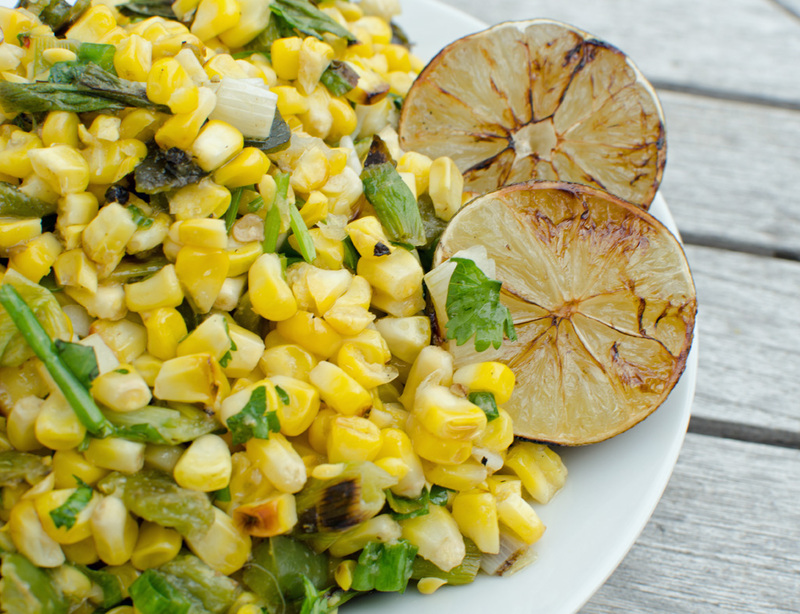 A healthy portion of this roasted corn salad is less than 160 calories and, 5 Weight Watcher Points per serving. It makes a great side dish or it can be used as a condiment on tacos or salads. One of my favorite way to eat it is, as the filling in an egg omelet with a little queso fresco added to the mix. I must also add that this recipe is vegan and 100% nut and dairy free. 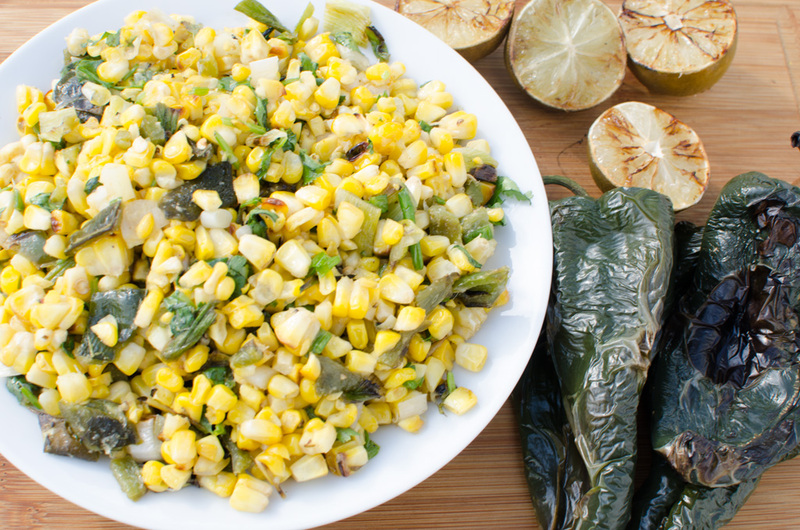 Adding to the amazingness of this roasted corn salad is its preparation method. All of the ingredients are put on the grill to cook. Yes, no pots or pans to wash. Yeppie (I Hate Dishes). Also, by grilling all the fresh ingredients you don’t add any extra cooking fat. FYI- getting a good photo of the grill is no easy task. It’s hot and getting up close is, well, dangerous. So, pardon the quick snap. 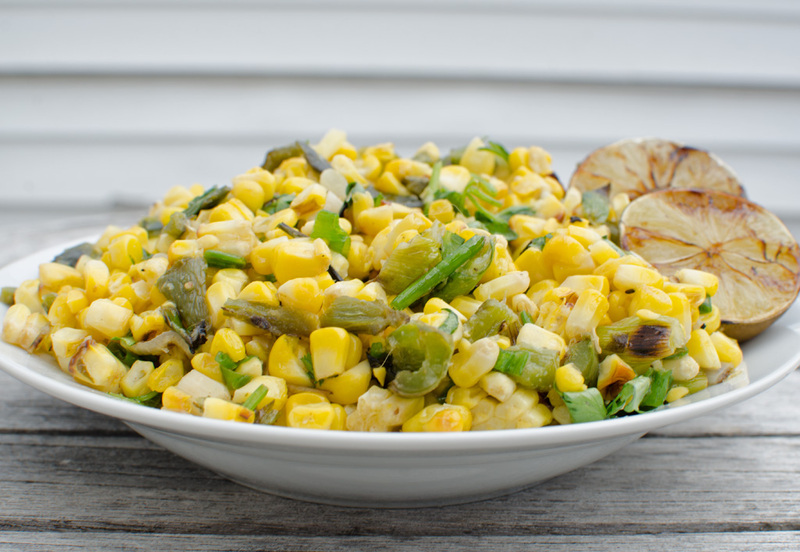 Fresh corn and peppers are key to this recipe. Summer corn tastes so much better than any canned or bagged corn you will ever find in a grocery store. 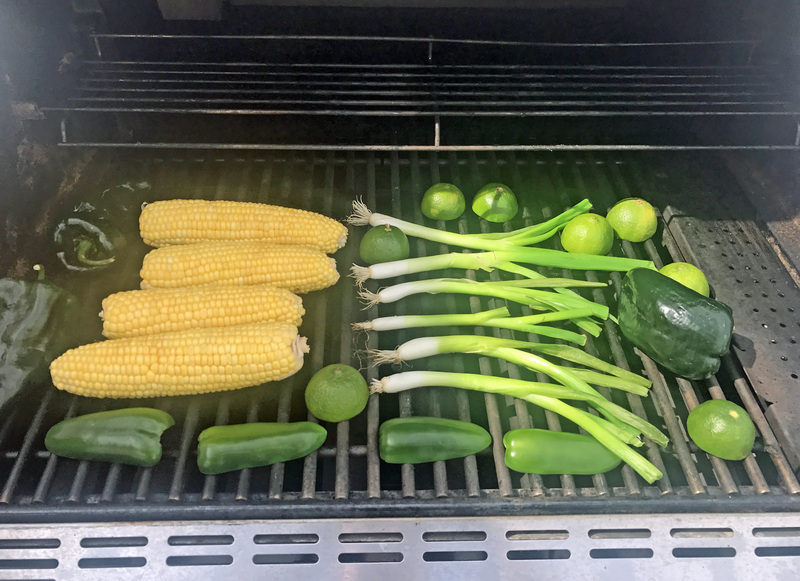 The poblanos and jalapenos add a nice kick of heat. But what takes this recipe to a whole new level are the grilled limes. The grilled limes make the dressing a little sweet but, the zippy citrus pop can still be tasted. 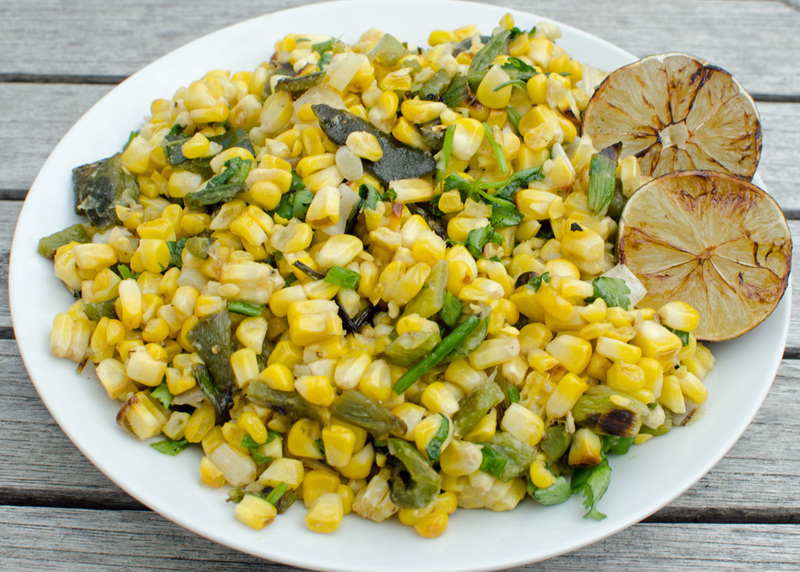 I guarantee that if you like summer flavors you will love this versatile fresh corn salad recipe. Preheat grill on high, then set the burners to low. If you are using a charcoal grill, begin cooking when coals are hot (orange with white ash). - Limes: 2-4 minutes. Begin cooking with pulp side on the grill. The lime juice will boil and you will hear it scorch the hot grill. When limes being to boil flip and cook for 1 minute. - Corn: 10-12 minutes. Rotate corn 1/4 turn every 2-3 minutes. Cook until soft and a few kernels are lightly charred. Cut kernels of corn off of each ear. Over the top of cooked ingredients, juice grilled limes. Add oil, cumin, garlic and salt and pepper to taste. Toss until all ingredients are combined.